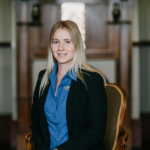 I have worked in many roles in the real estate industry since starting my career in 2014, including the following; Receptionist, Sales and Marketing Coordinator, Sales Personal Assistant and now Property Management giving me a broad overview and knowledge of the real estate market in Albany. Having been born and growing up in Albany I bring an extensive knowledge of the area to my role and believe that my fresh eye, enthusiasm and dedication to my client make me the perfect manager of one of your greatest assets. Our sincere thanks for EVERYTHING you have done for us Ashton....above and beyond.Nothing was too much trouble for you. We are very grateful for the professional service,inspection reports and maintainance follow ups. Ashton provides customer service to the highest of levels. Her attention to detail and diligence is outstanding. I highly recommend her as a property manager. Ashton your prompt, friendly and knowledgeable customer and property service and genuineness when communicating with us has always made us feel very comfortable and we trust you with our property. "It doesn't feel like a business relationship...you make it feel personable. THANK YOU!" I appreciate the hard work and diligence you apply to your job. I am writing this letter as a humble note of appreciation for the outstanding ongoing property management service provided by Merrifield, in particular by your property manager, Ashton James. Cindy and I have been in the property investment arena since 1992 with properties in Australia and South Africa. We know how unforgiving the property management role can be. Our properties in Albany certainly aren’t an easy portfolio to manage yet Ashton is consistently looks after our best interests yet, at the same time, manages to keep the tenants happy. She has an outstanding knowledge of the tenancy rights – which helps us with direction, and her thoroughness with repairs keeps the tradies honest saving us unnecessary costs! I would love to recommend Merrifield to anyone who needs an extremely capable property manager in the future. Keep up the good work.